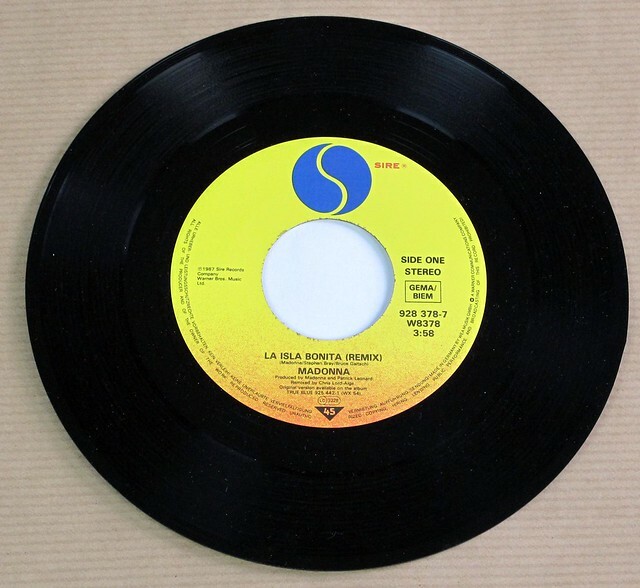 "La Isla Bonita" is the song by American singer-songwriter Madonna. It was released as the fifth and final single from her third studio album, True Blue, on February 25, 1987, by Sire Records. Originally written as a lament, the song was first offered to Michael Jackson before Madonna accepted it and re-wrote the lyrics with Patrick Leonard. 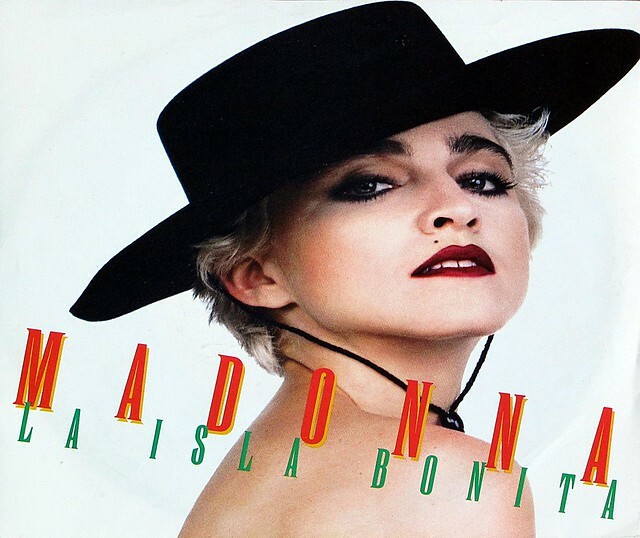 "La Isla Bonita" is noted for being the first Madonna song to have a Spanish influence in it, with arrangements of Cuban drums and Spanish guitar, maracas, harmonicas and a mix of synthesized and real drumming. The lyrics of the song tell about a Beautiful Island and was a tribute to the beauty of the Latin people according to Madonna. 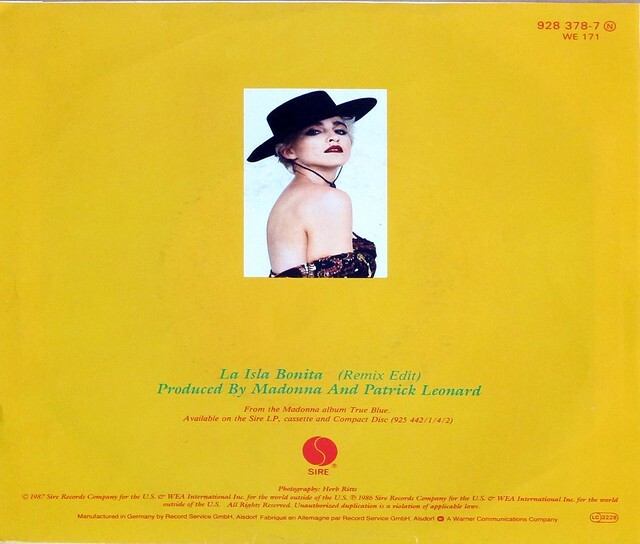 High Quality Photo Sleeve of "MADONNA - La Isla Bonita (Remix Edit)"
Album Back Cover Photo of "MADONNA - La Isla Bonita (Remix Edit)"